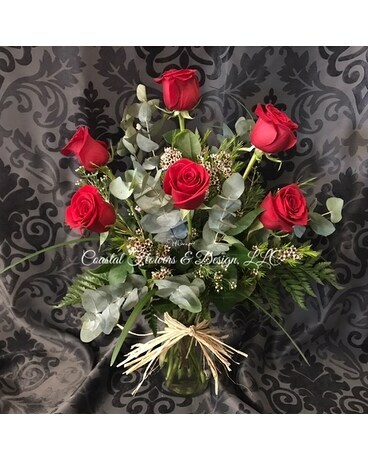 A beautiful clear glass paragon vase filled woth 6 long stem roses, premium foliages and accent flowers tied with raffia. So simple and elegant! Many rose colors avaialable. Colors include, red, yellow, hot pink, light pink, peach and white. Please specify color wanted in the "Special Instructions," section!